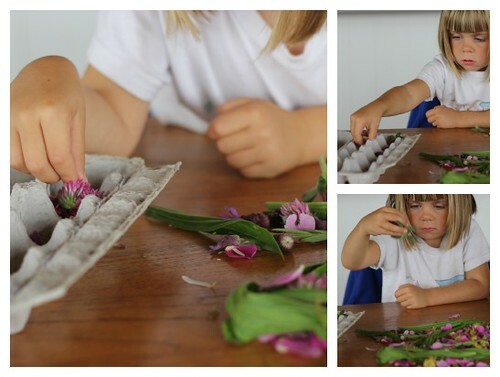 The best way to learn about herbs, especially wild plants, is to get outside and look around as often as possible. I know it sounds simplistic, but as a friend says to me 'the secret to writing is writing.' I feel the same about herbcraft. Honing your gathering skills is an integral part of herbcrafting and it is only done by getting in the field or garden whenever you can. Since I almost always have the kids in tow, I try to make a game of it. So once a week or so, we go hunting for treasure tea. It's a great way to get everyone out of the house on that late Thursday afternoon that seems to scream for the weekend to come. We walk the same short path around our neighborhood and simply look around to see who shows up. In Phoenix, we used to do this in our garden as well. Sometimes, it's not a whole lot, or maybe a whole lot of one thing, and not much of others. Sometimes, we find the bounty. 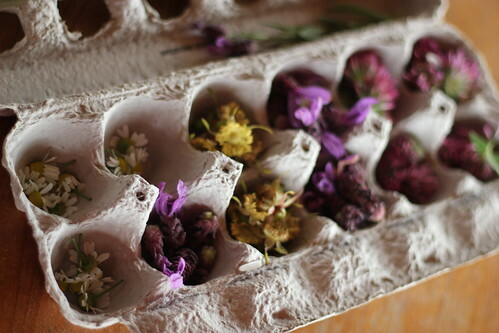 But it teaches us, to watch the plants as they become ready, to see each of their stages as they bloom and grow. My girls have found the plants they love and are pretty good at identifying them and knowing if they're 'about to pop', as Sevi likes to say. So for them, it really does become a treasure hunt for their favorites. It's how we develop a relationship to the land and begin to see it as an ally. We can see ourselves reflected in the cycles of our green friends, and who we are drawn to for medicine. In the desert, this helped our vision become very keen and specific as treasures only bloomed for short periods of time. Here in the northwest, it helps our vision become focused, seeking out those elusive reds and whites among all the green. 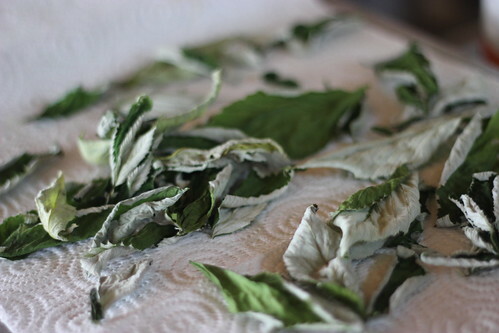 Because this is more of a learning activity, we usually just quick dry the plants on a paper towel for a day or so and steep right in the cup when we're ready to drink them. You could always just steep them fresh and get immediate satisfaction, though the flavors get stronger after a few days. If you are unsure of plants in your area, you can take a camera along for a eye-candy tea and start identifying when you get home. The more you see something, the easier it will be to learn. 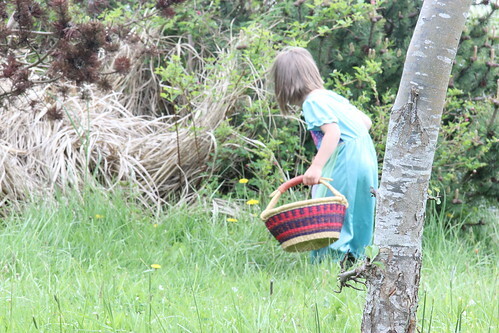 But there's almost always something you can pick up on the way, like plantain or pine tips, or dandelions. Happy Hunting! If you go on a treasure tea walk, we'd love to see pictures and hear your stories! One of the hardest things I anticipated needing to adjust to as an HerbMama moving from the dry dry desert to the wet wet PNW was how exactly to dry my herbs. I asked the collective braintrust at facebook. I scoured google for ideas. I even made a pinboard. Then, as do most of the genius ideas in this house, the neatest option was discovered by my four year old: egg cartons. But this simple and effective drying tool has become so much more. We get our eggs from a friend so we're always conserving cartons to return back to them and I had set out a bunch on the table earlier that morning. 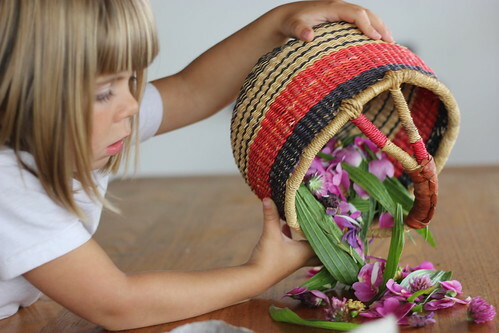 The girls and I had gone for one of our treasure tea walks around the neighborhood and Sevi dumped out her goods on the table to get ready for a little plant identification memory game. She takes great pride in knowing her herbs. I busied myself around the kitchen, as she got ready. Eventually, I settled down for the show and came to the table. It was fantastic. 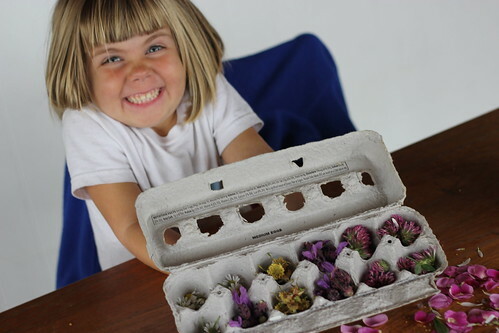 She had taken an egg carton and placed all her plants in the little buckets. Sorting each different one into their own place. It was a perfect herbmama/unschooling moment. There is probably something brilliant I could say here about how children learn and process naturally and all that. 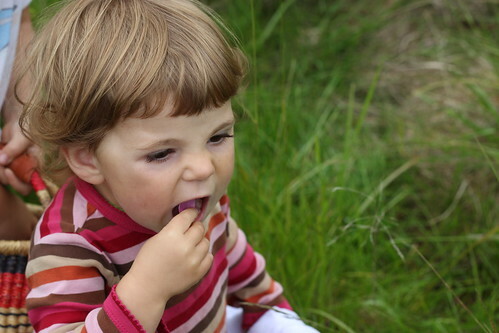 But she's growing up so fast, and these pure moments of childlike expression have become really precious to me. So, I really just wanted to notice it as what it was for her: play. And I'll leave it at that. So now we have a few egg cartons, each painted and decorated with our names on them for our walkabouts with an extra one mama is just using for the generous chamomile. The herbs are drying up quite nicely in there and we can snap the lid shut so the plants don't fall out, like they often do in drying baskets. They also stack nicely so we save counter space. After a few days to a week we put them up in little jars on their own. It's positively perfect. 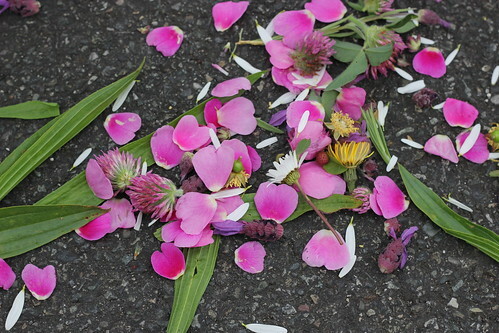 It works best of course for smaller flowers and bits, rather than leaves and large bunches and I'll share how we've been drying those in another post. But for our daily treasure hunts, it's just the right thing. P.S. The wonderful folks at Poppy Swap were generous enough to interview me. 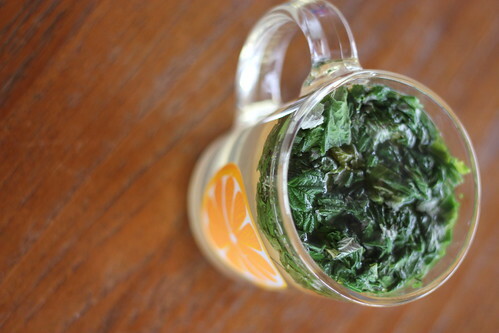 Check it out to learn the secret to my herbal beginnings, if you haven't already.